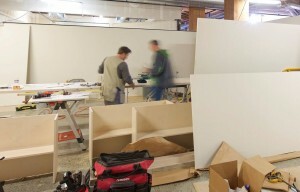 In an effort to reach out the greater worldwide community from its headquarters in Seattle, SingCore has partnered with the American Institute of Architects (AIA) Seattle in the design and building of the new 4,500-square-foot Center for Architecture and Design in the National Building located at 1010 Western Avenue in Seattle, Washington. 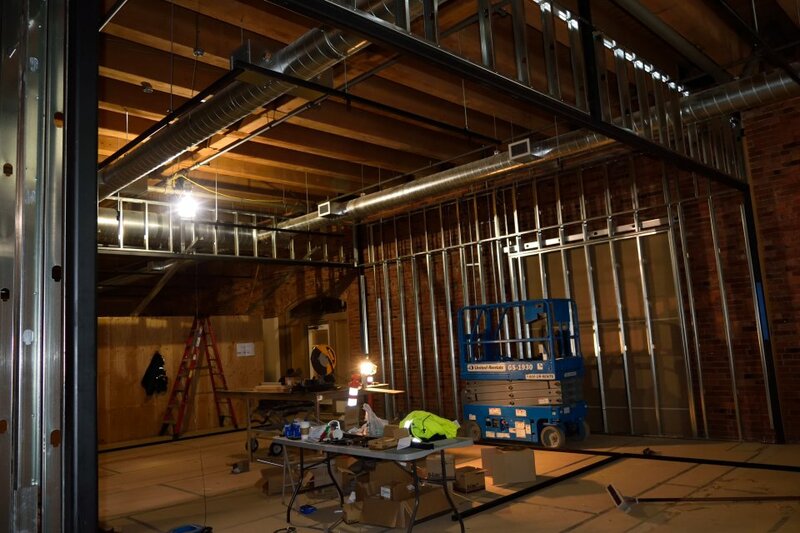 SingCore is offering matching funds and donations to local AIA chapters to specify patented Sing products in the designs of their local center for architecture. 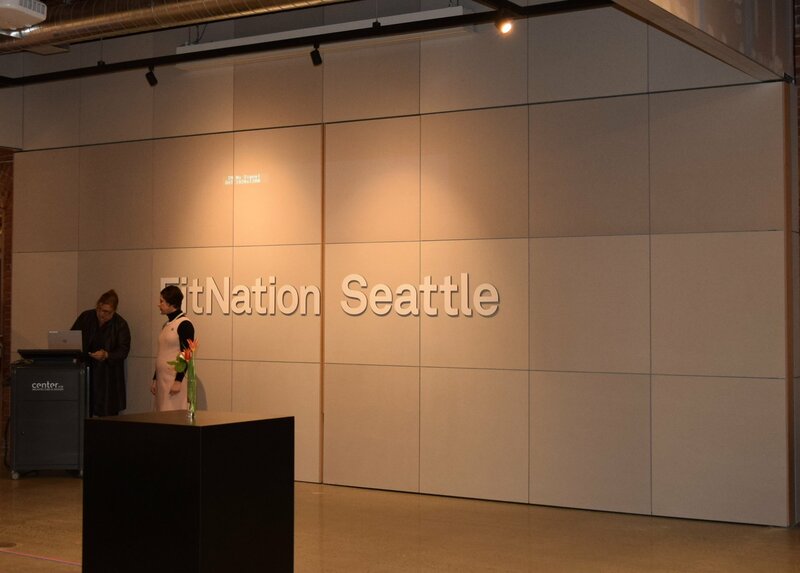 As a Platinum supporter, we’re excited to be providing CFAD Seattle and AIA Seattle with donations to raise the bar for architecture and design using patented Sing products for doors, walls and furniture for their center for architecture. 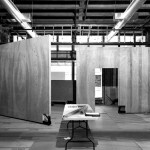 We are currently in the process of similarly supporting the Austin Center for Architecture in Austin, Texas. 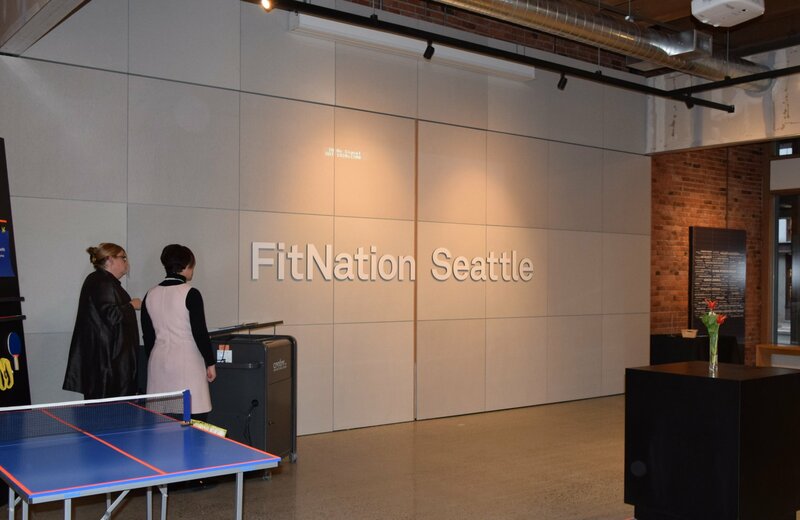 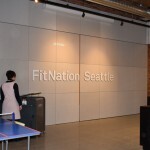 Four 12 ft. x 10 ft. x 5 inch SingCore panels were designed for CFAD Seattle as a jumbo pivot door that splits a conference room into two halfs. 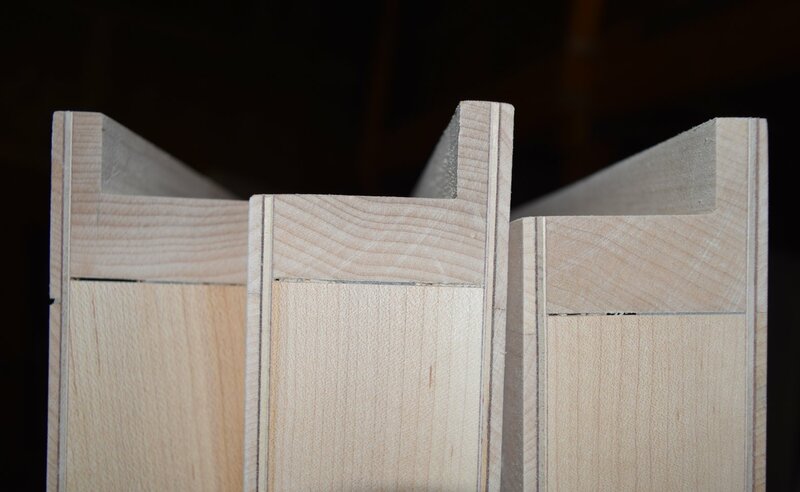 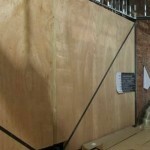 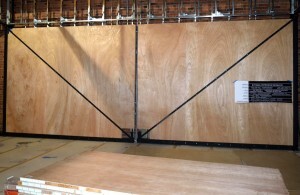 Each panel weighs about 500 pounds, which allows the door to move easily as shown below. 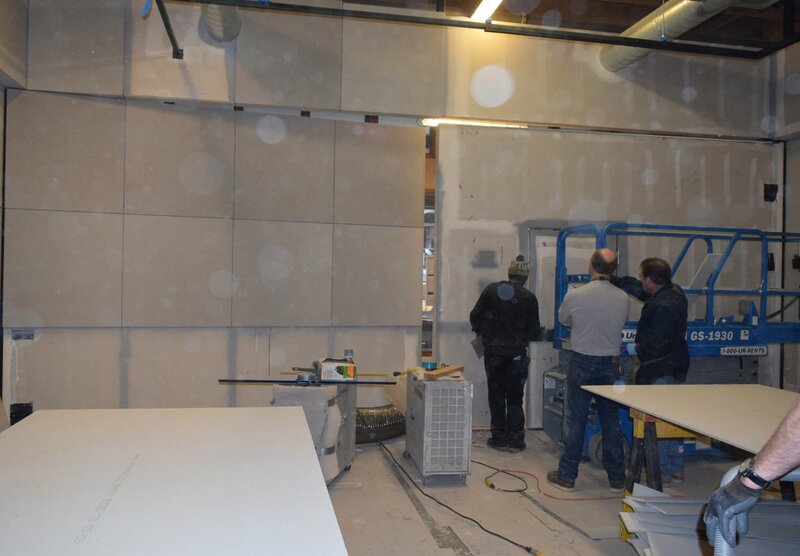 Each door was installed in less than a half an hour. 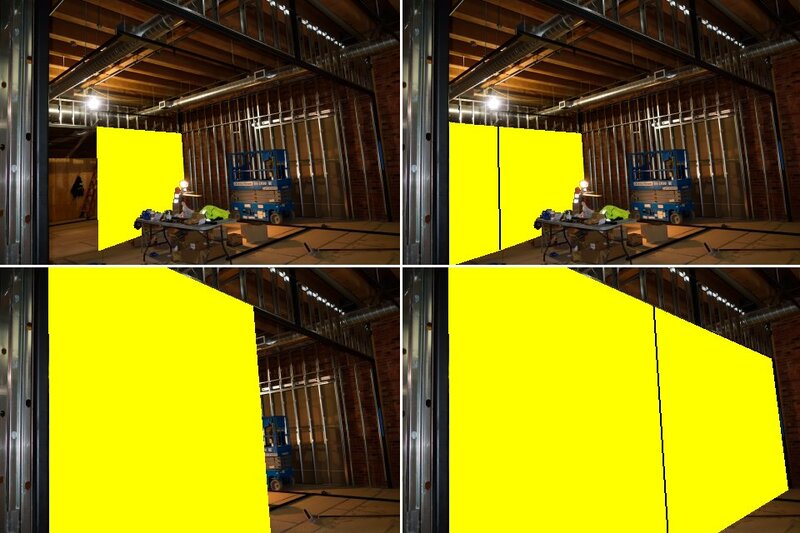 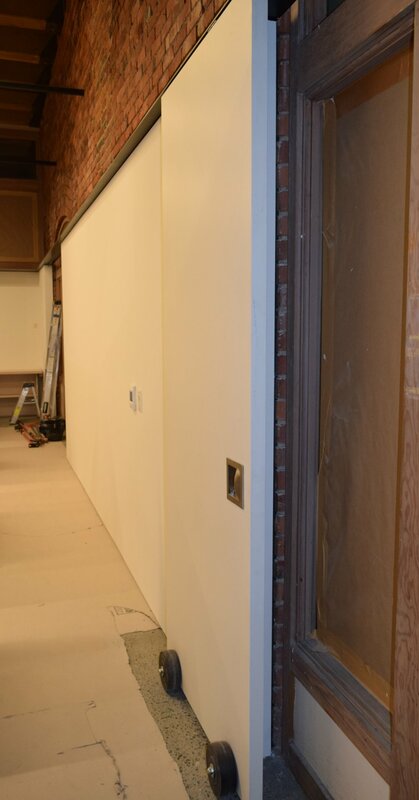 About the large pivot door: Mr. Ric was able to accomplish the door solution by teaming up with inventor, Peter Sing, whose lightweight, high strength building material made it all possible without the use of heavy equipment, lifts and cranes. 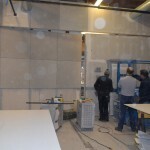 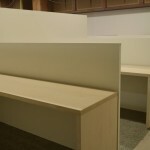 After being invited to join the project, Sing offered to supply not only the doors but almost the rest of all the office furniture, partitions and even part of the dining table/work table and cabinets in the lunge and office areas – all made of patented Sing panels, same core materials to build those 4 large pivot doors. 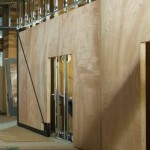 Green building materials are the focus point of every architecture design now-a-days. 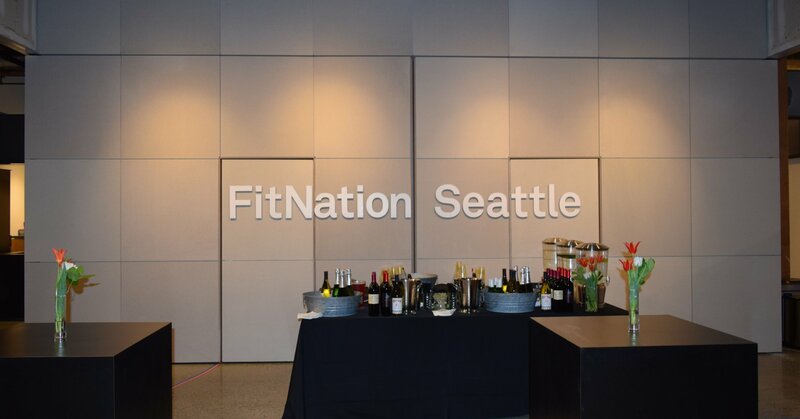 As the home of the architect and design community for State of Washington, which is the leader in high tech and advanced materials playground for searching the planet for green, earth-friendly products is essential for this new home for all designers and architects. 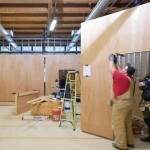 In the temple of Seattle’s Center for Architecture & Design, the evergreen state sets the standard for promoting the highest standards of preserving our green earth among the Pacific Northwest architectural community while seeking out new ways to approach a more sustainable approach with building products that save energy and add longevity to the overall life of projects around our local communities and the world. 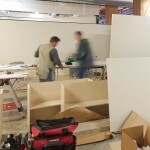 The idea of a local design center is not new, but the Seattle design center is the leading edge of this new technological approach to new office designs; bringing to life the idea of a multi-functional design combining office space, media, meeting and a gallery to promote green design permeating all areas of life and our society. 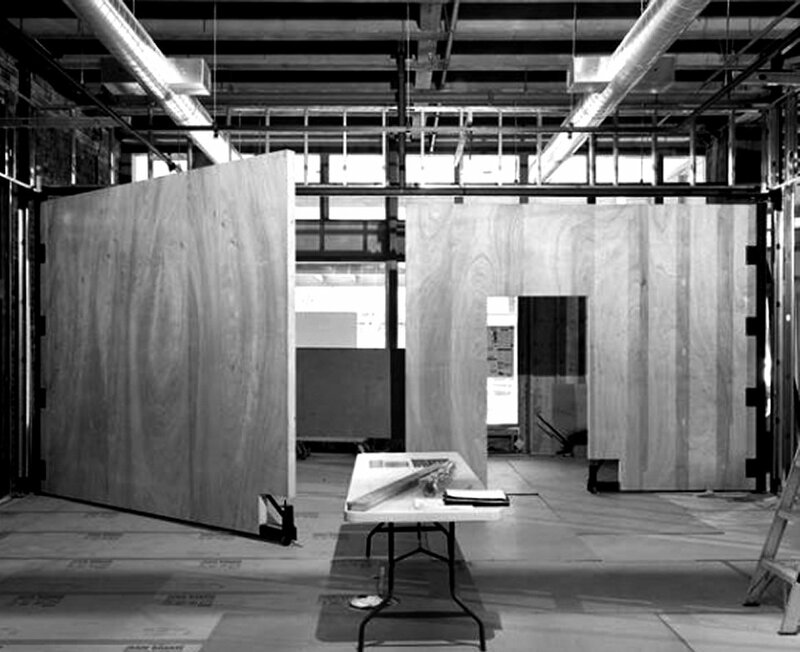 It all starts with the composer / architect of the project; with Ric Peterson’s design of Suyama Peterson Deguchi, while leading the team of the designer of the total project which includes a varied line up of suppliers, general manufacturers and fabricators to tackle the most challenging job to represent the state’s finest architects and designers. 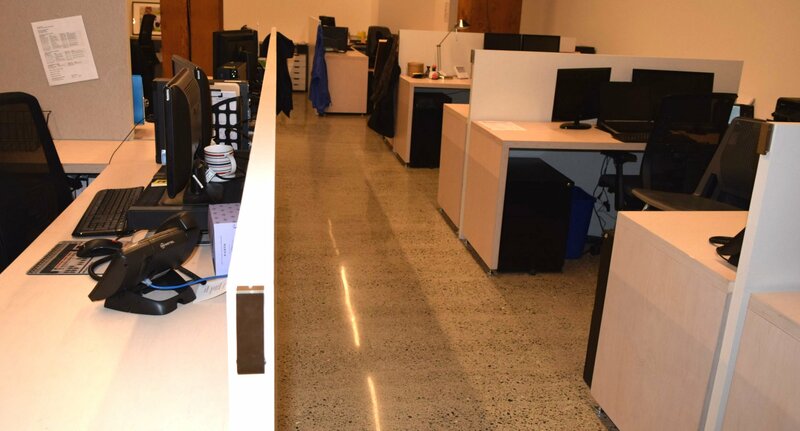 When all is said and done, the resulting space in this center represents the new philosophy and concept of engineering for a better world within the office space that has superior functionality as it is easy to maintain and built with the longest lasting building materials. 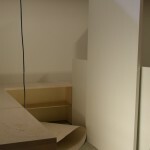 The symphony’s composer is Ric Peterson, FAIA of Suyama Peterson Deguchi was charged with the challenge of creating a design center work of art. 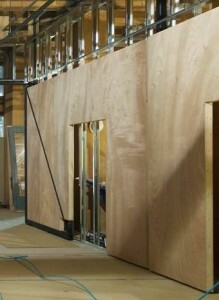 The score is conducted by general contractor / conductor of the symphony, Krekow Jennings supervising all components while acquiring and arranging the performers (trade professionals such as sub contractors) participating in the creation of the newest chapter in executing the design by using green building materials made locally, produced with less energy and waste used throughout this project. 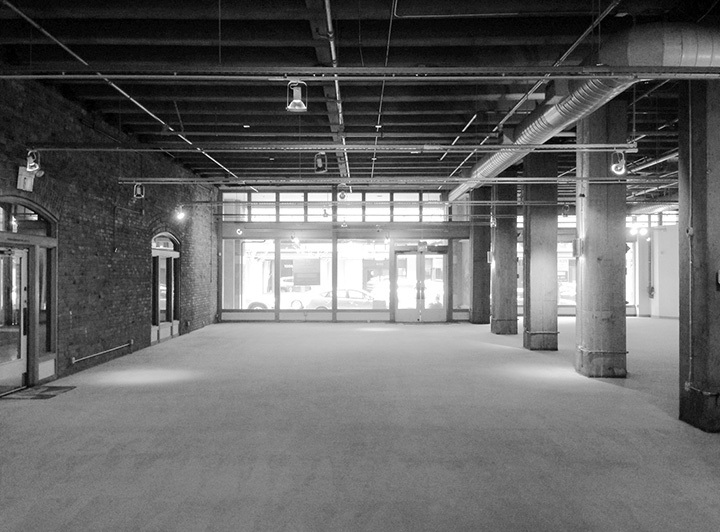 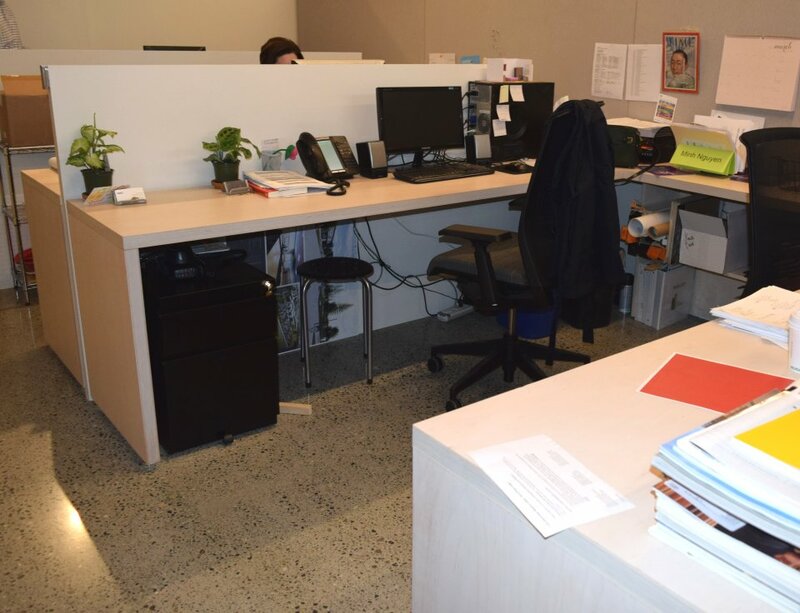 The resulting masterpiece is a modern office, meeting room and gallery in a picturesque downtown location as a perfect showcase for professional trades and an inviting exposure to the general public. 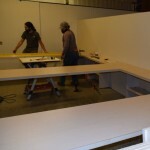 The whole job will not happen if without all the support from the donor of their trade skill to help such as painters did all the paint work for the furniture, and Schuchart/Dow craftsmen did all the assembly which basically started from patented Sing Panels, all in flat-pack which is easy and takes up less space for shipping to the job site avoiding damage during transport, and the end result is a new chapter of this ornate symphony of building art; simple, functional and elegant. These unique large extreme edge pivot doors were manufactured in Washington state using patented Sing Core as the embedded structural core material. 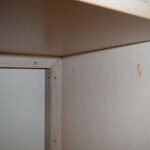 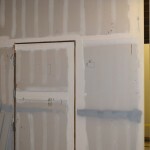 those door had added two more layers of material on the job site to create sound deadening and fire retardant features, Even with his lightweight, high strength core material, the wall feels as though it is made of solid stone, when you knock on it. 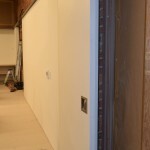 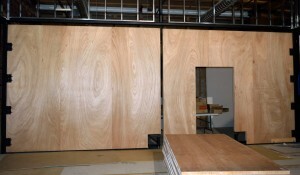 Two of the doors feature a built in man door for simple access when the area is secured as a conference room. 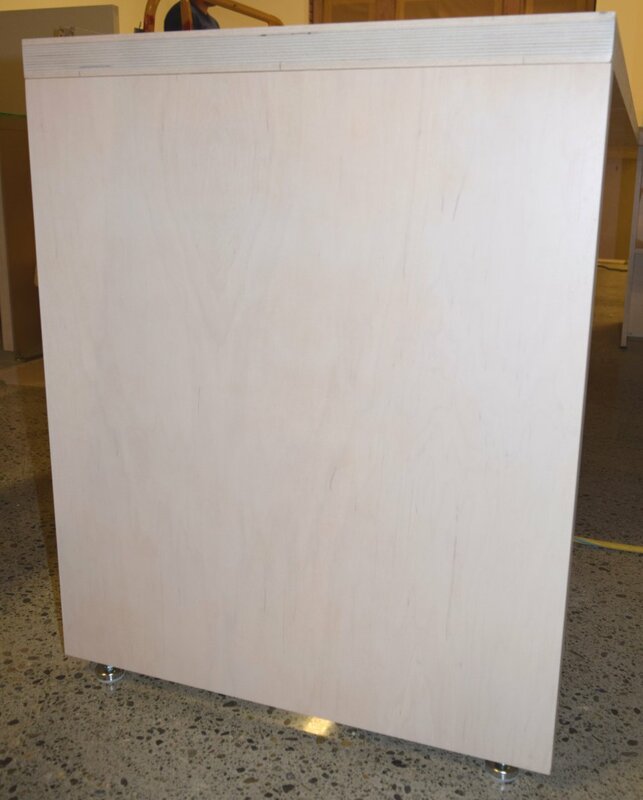 Four doors are easily 12 ft. x 10 ft. 2,000 pound pivot doors by the time completed provide the conversion from gallery to conference room quickly and easily. 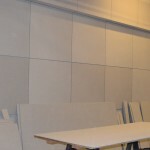 About the furnishings, desks, tables and partition walls: Office area are also with totally new design approach with new leading edge patented lightweight , high strength eco friendly Sing panels. 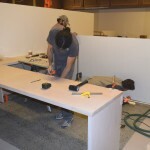 all those office furniture are assembly on the site by use patented Sing panels all flat pack after paint by painters and hand carry to the designer center, some shelf / table top and partition wall are over 12 ft. in length. 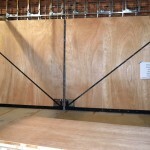 Each of the panels are designed to be able to be carried by one person. 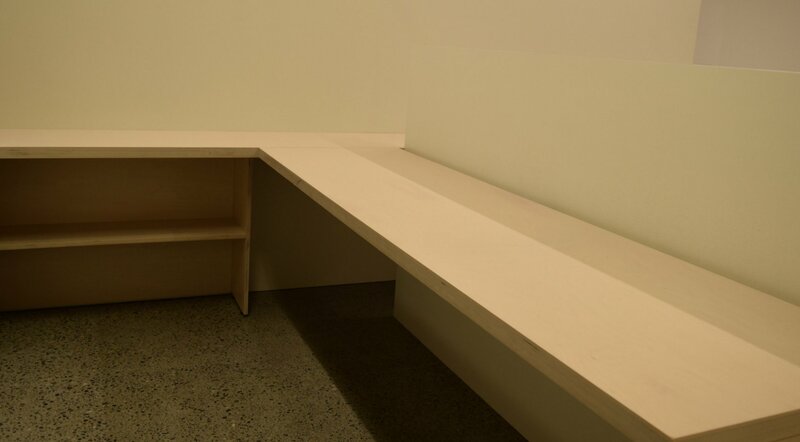 The features of the office and lounge areas are simple but elegant in the functional execution of the artist’s design concept. 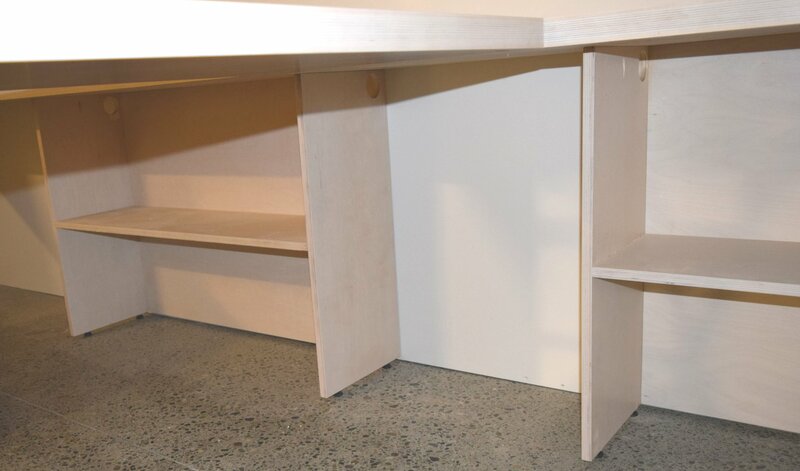 All the furniture features adjustable legs to maintain work surfaces at high precision instrument grade levels. 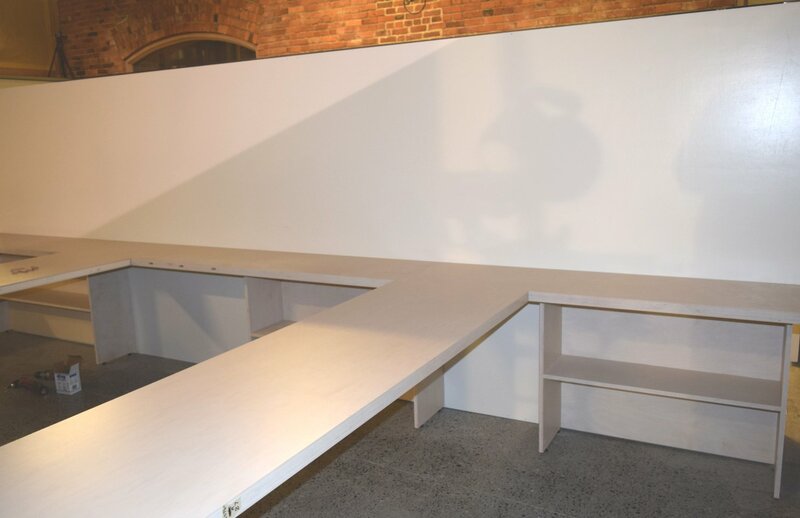 Up to 8 foot clear span work areas are neat and clean while keeping all power and other cords neatly hidden from view by an embedded wire management channel system that is an effective design component within the work areas. 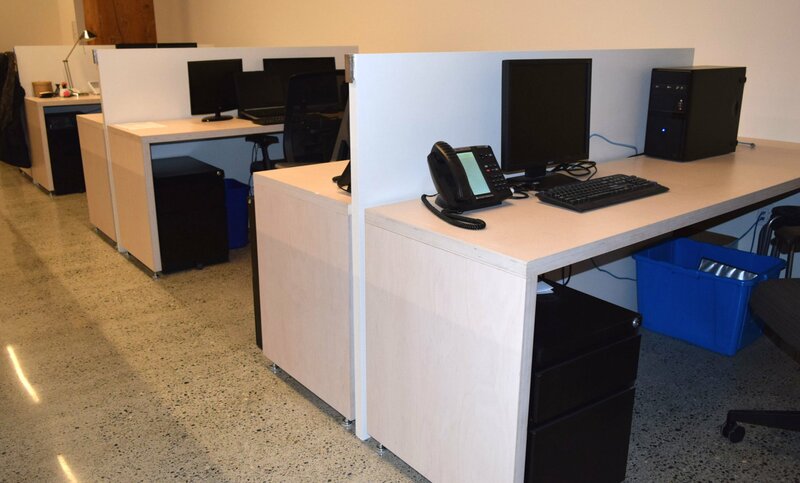 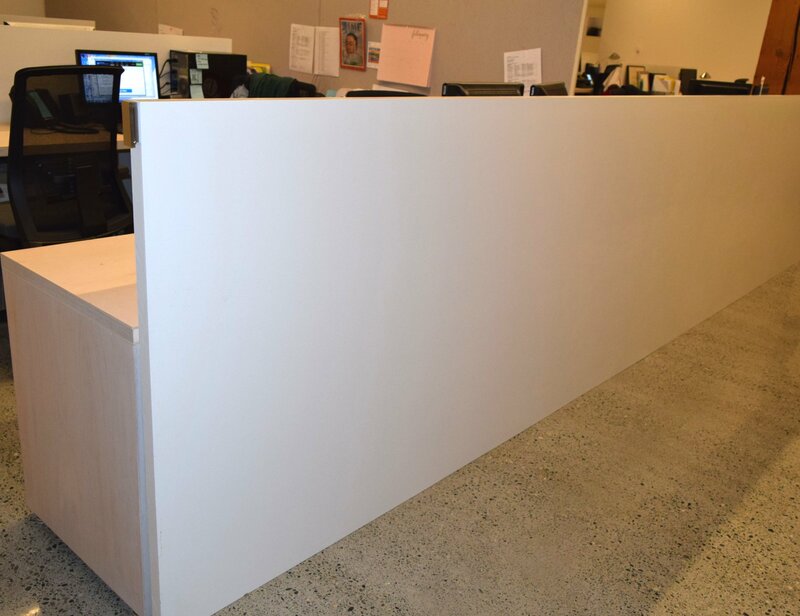 Single piece partitions that span up to 12 feet provide privacy and security while standing flawlessly amidst the efficiently accurate space. 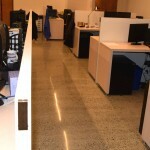 Not resorting to raised level work areas provides an effective approach to cleaning and maintenance of the floor space that is both easy and saves time. 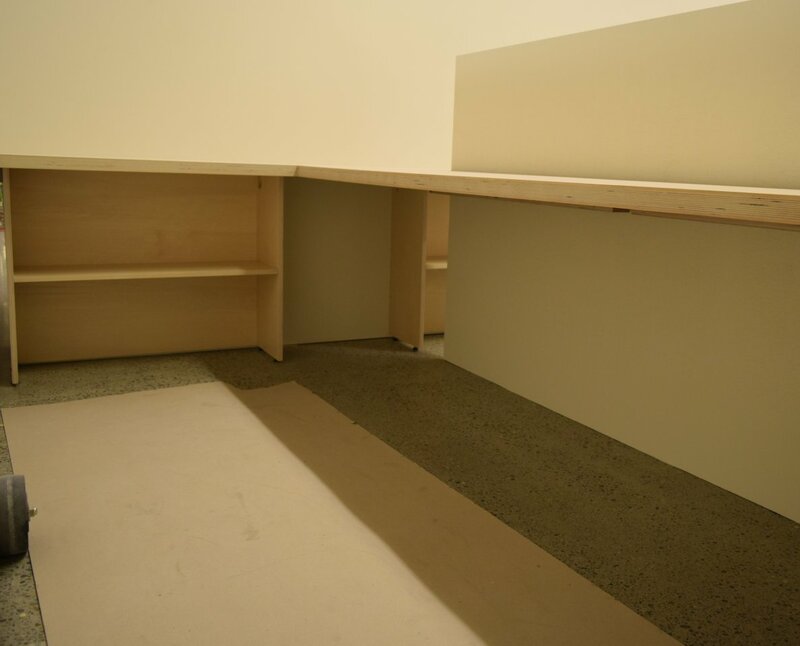 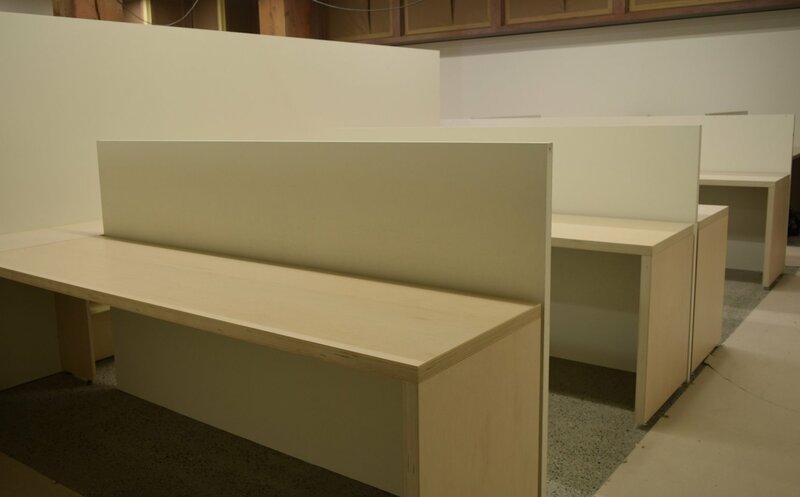 all the wiring are hidden within the desk top and shelf channels, instead build raise floor as most commercial office space which takes more space and more assembly time and lose more precious space. Completing the symphonic work, Sing and his patented product “Sing Core” is joining the team of suppliers that is bringing the dream of Seattle’s design symphony to life. 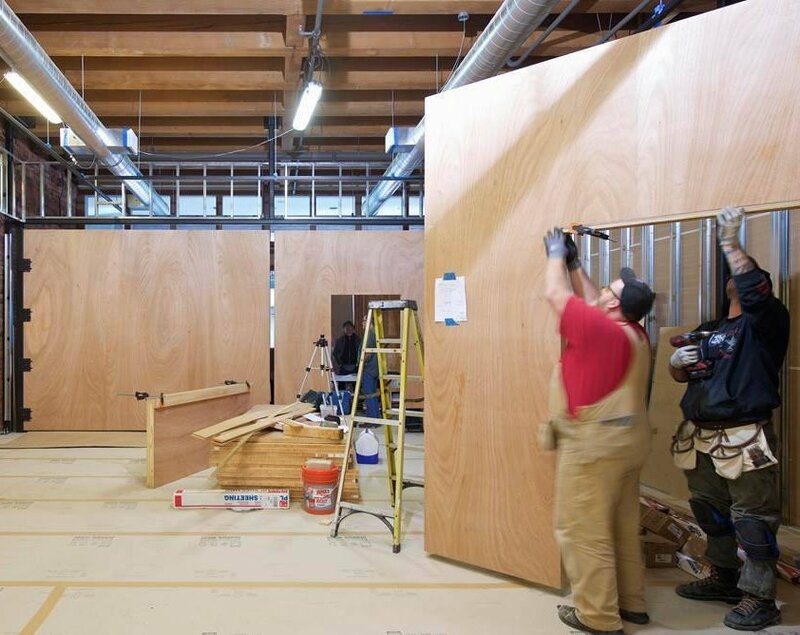 Hearing about this project might cause you to wonder how an entire facility of this magnitude could be quickly and easily assembled out of multiple integrated modular panels. 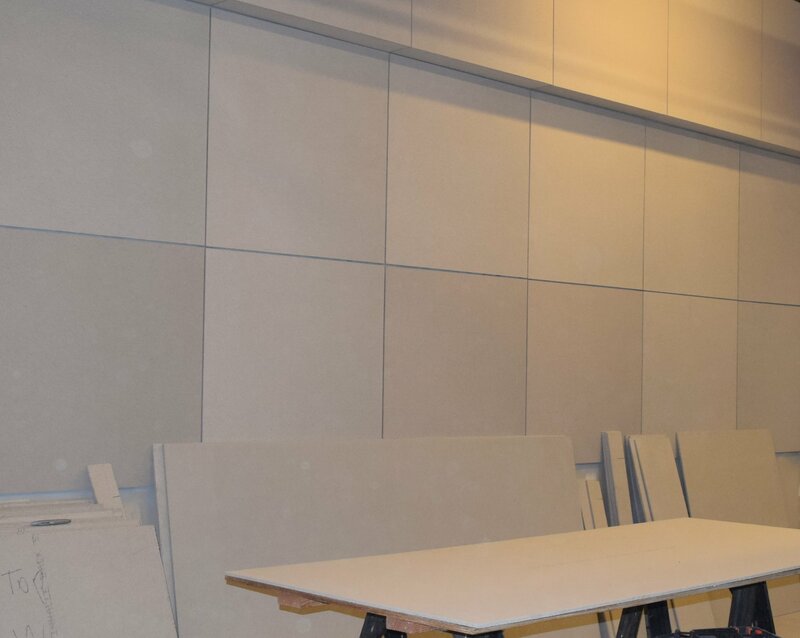 This is the first time such a grandiose project has been built completely of lightweight high strength panels that are not only sound deadening but are resistant to warp, bend or twist, even while covering long spans and featuring natural wood surfaces. 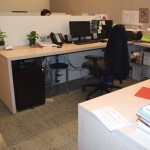 1 Easy to clean floors (less table legs shelf supports to interrupt the cleaning process). 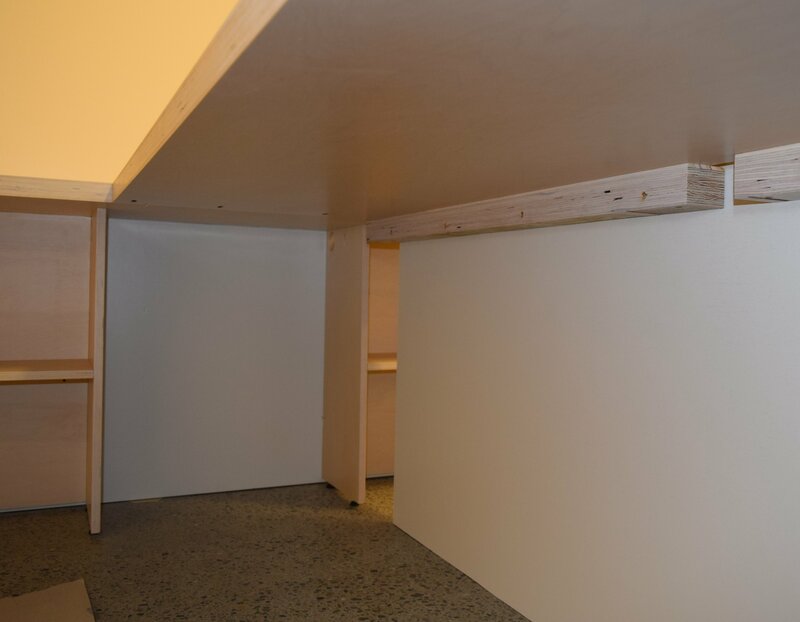 2 Easy wiring management (all wires are hidden in the channel between the partition wall and desk top). 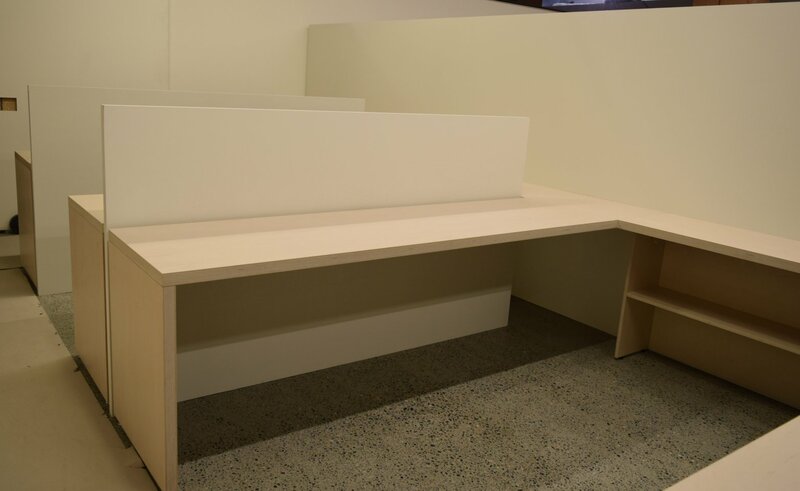 3 Some areas designed with clear span of 10 ft. plus (the shelf top and the table top are at same level) providing more working surface and elegant work space. 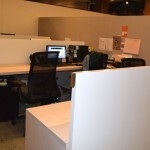 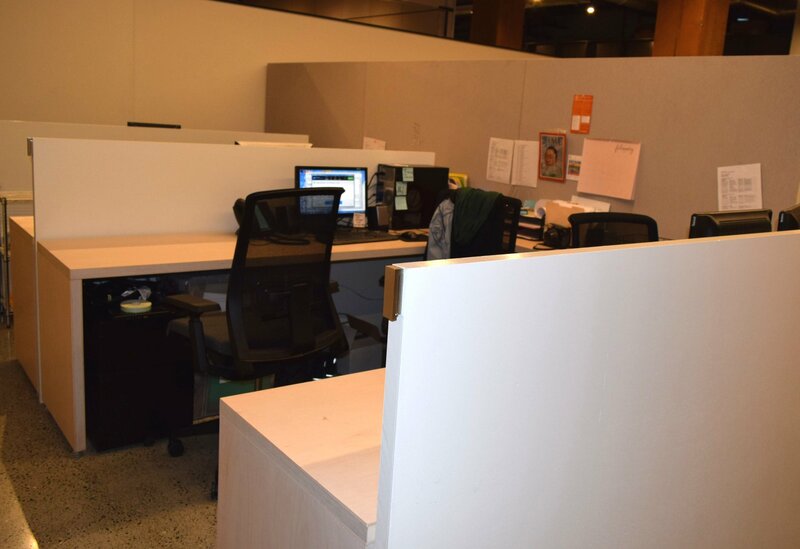 4 Partition walls are made of a single piece large panel (without joining to separate entire work station, offers more privacy yet simple, elegant and functional). 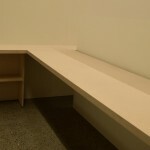 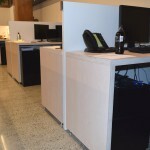 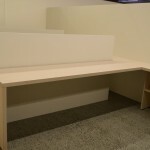 5 Easy to assemble on the job site (entire office lounge area constructed of Sing Panels (each piece of furniture is flat packed and installed by Schuchart/Dow). 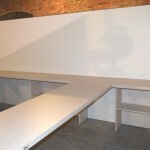 1 Change the conference room to gallery within minutes. 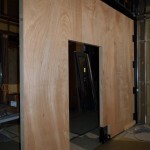 2 Fire proof and sound deadening patented Sing pivoted door. 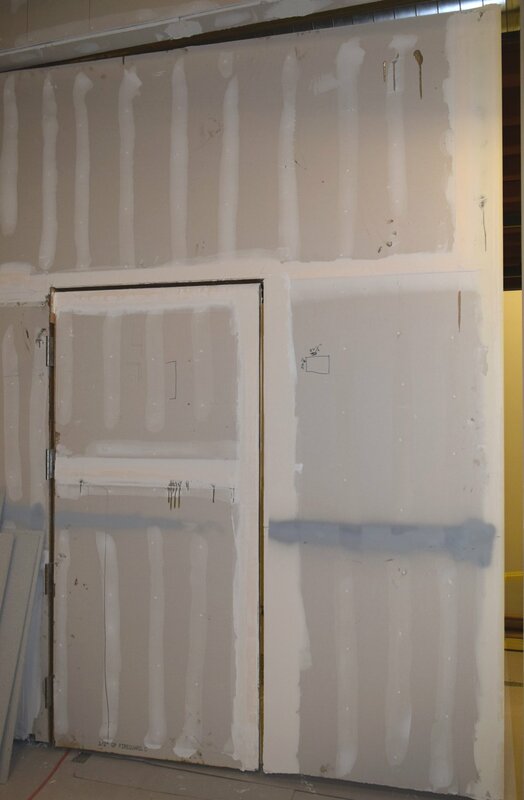 3 Man door on both sides of the entrance for easy access. 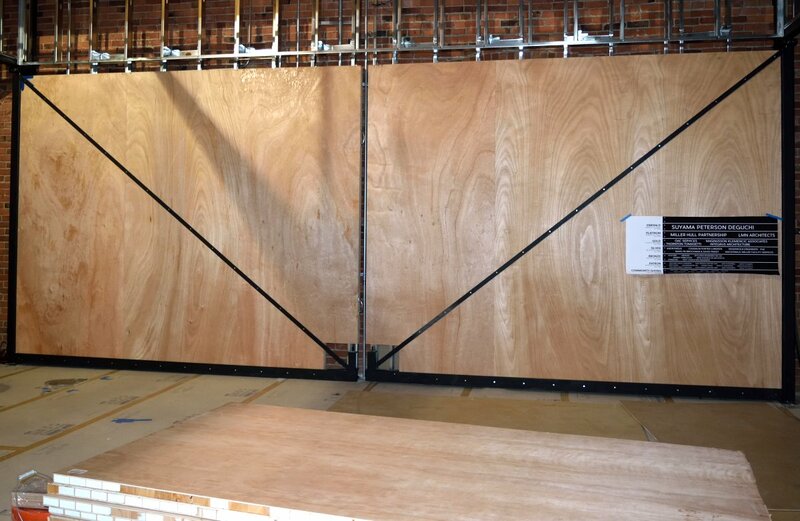 4 The lightweight and strength of Sing pivot doors enabled designers to add 1,500 lbs. 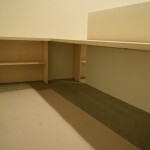 of additional material without compromise. 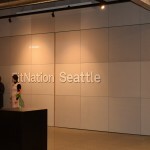 Seattle architects are renowned for their commitment to green building, energy efficiency and innovation. 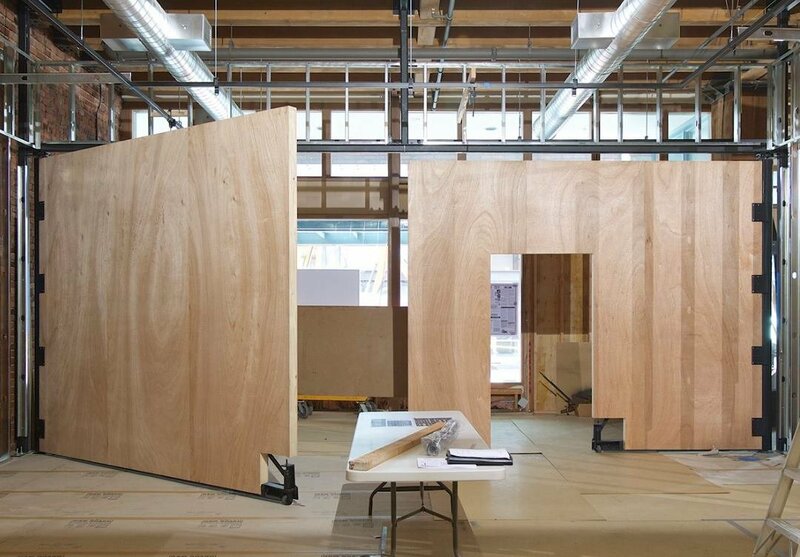 In the next few days, the new Center for Architecture & Design in Seattle will be featuring the newest revolution in green building products in their facility further promoting environmental awareness throughout the Pacific Northwest and the world. 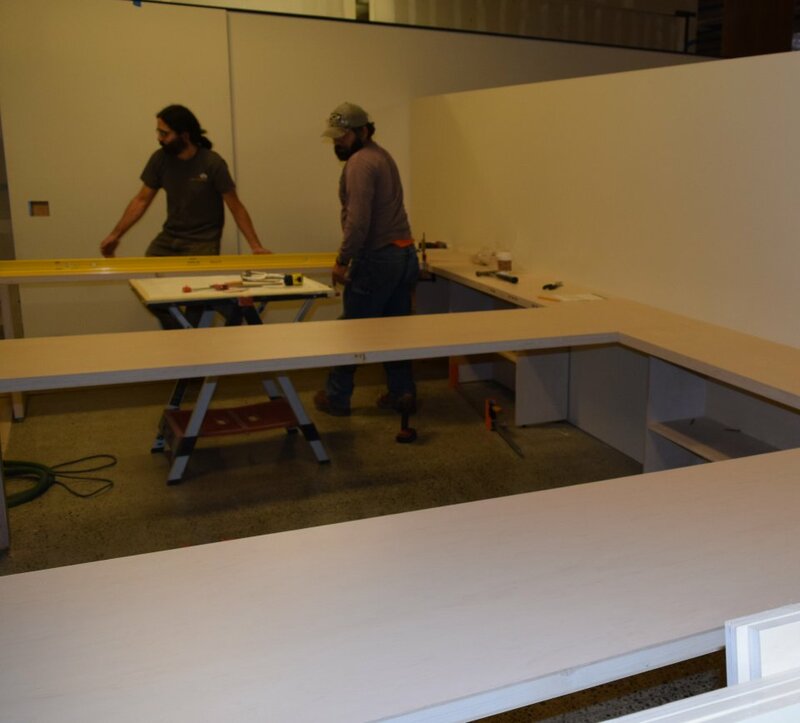 Patented Sing Core® is delivering 4 large pivot doors, all the office furniture, furnishing the lounge and lunchroom which covers most of the space in the design center. 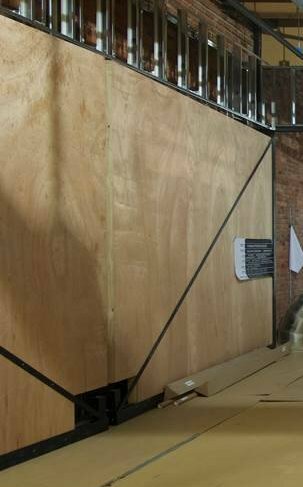 Example: Sing Core is providing a door panel for a large pivot door measuring 12 ft. x 10 ft. x 3.5 inches thick that weighs a mere 500 lbs. 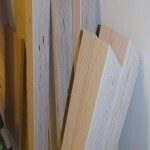 plus the added benefits that come along with using the most Eco-friendly non-warping material ever invented. 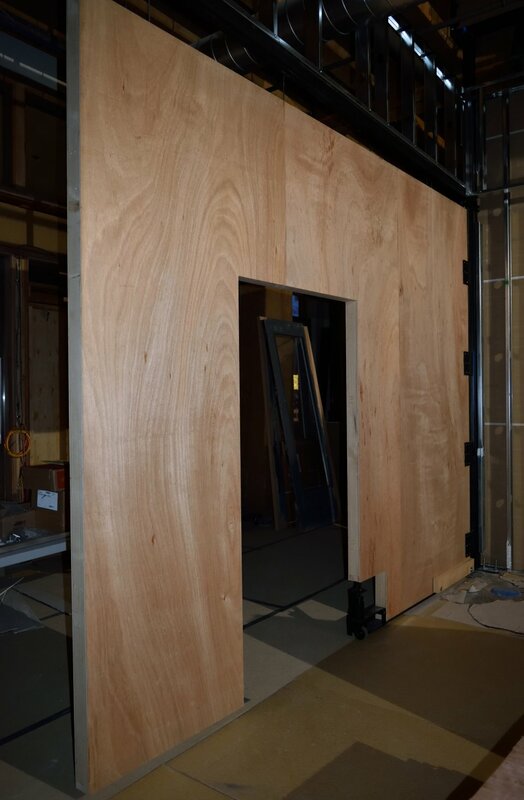 Four of these high performance pivot doors will swing open by an extreme edge pivot (a challenge solved with Sing Core) to reveal a large, expansive hallway; when closed will create a quiet, cozy conference room. 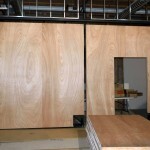 These engineered pivot doors will be fully insulated, fire-rated, sound-deadening and guaranteed non-warp for 50 years. 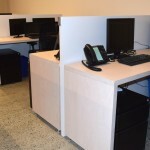 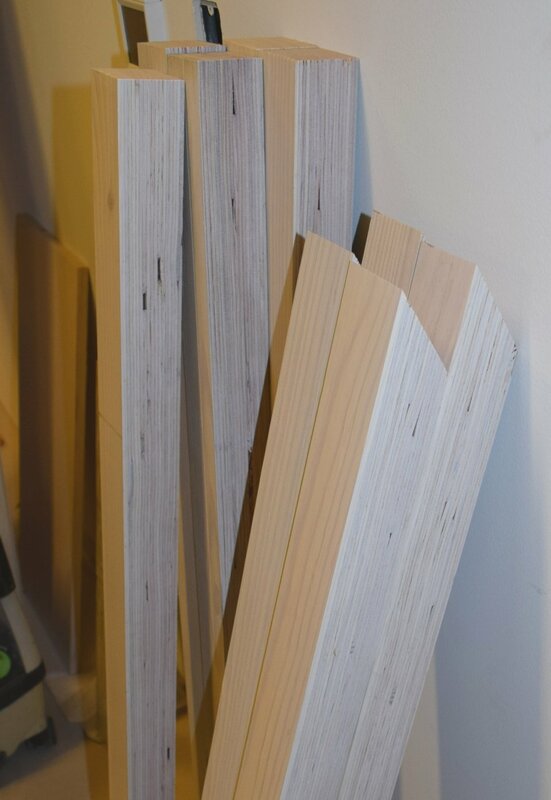 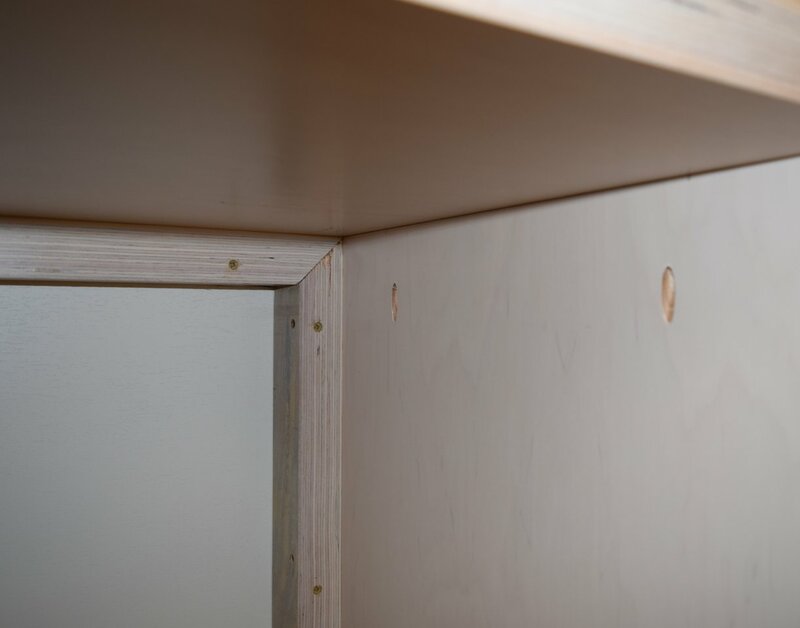 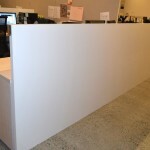 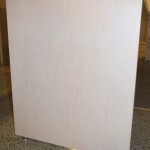 All the office desks, shelves, partition walls, tables, wall cabinets and other casework are made of Sing Panels. 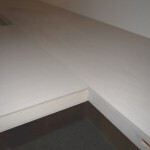 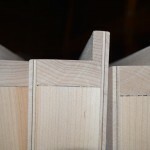 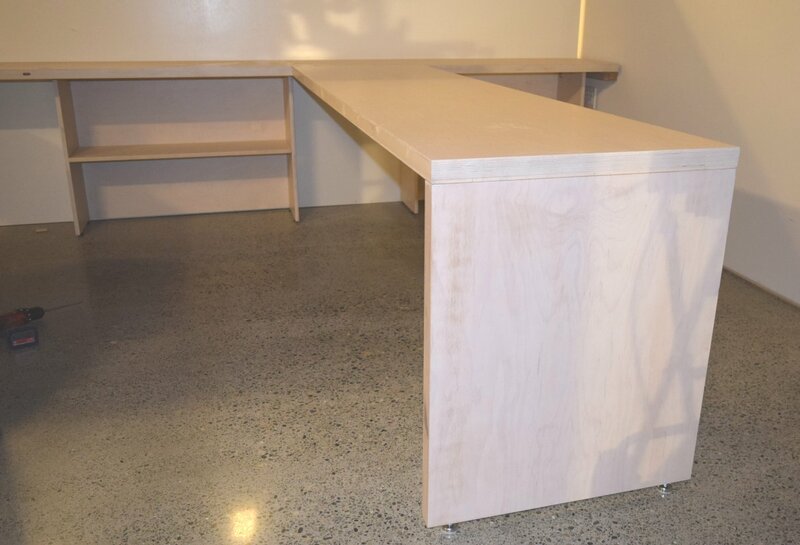 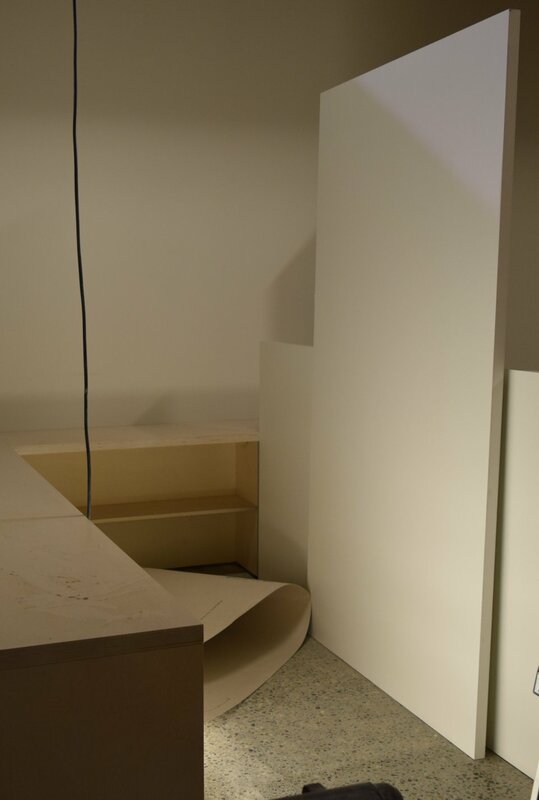 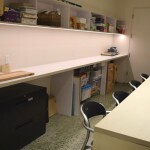 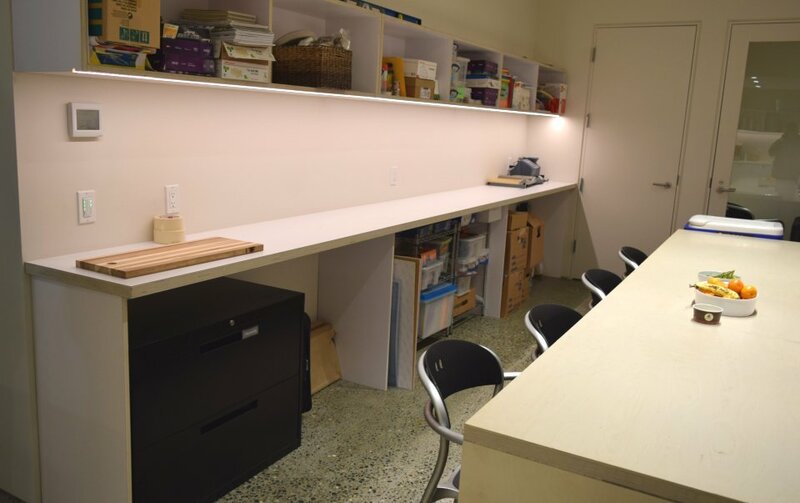 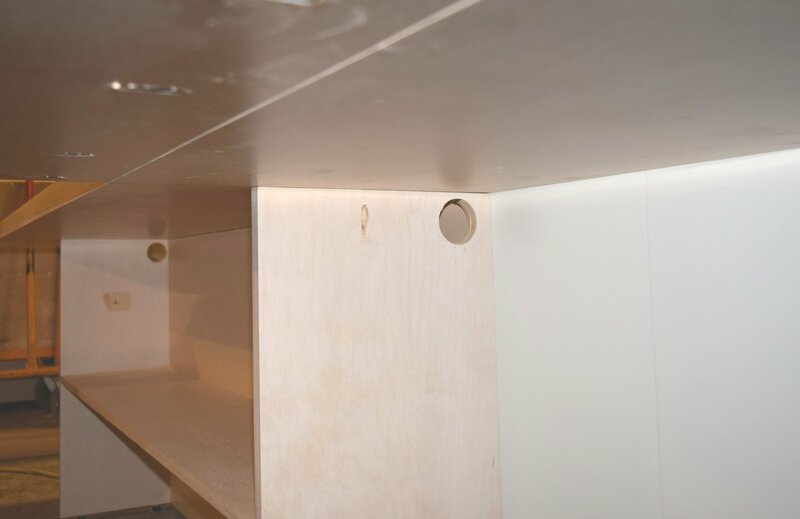 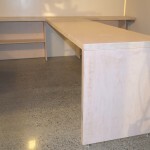 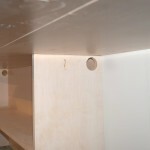 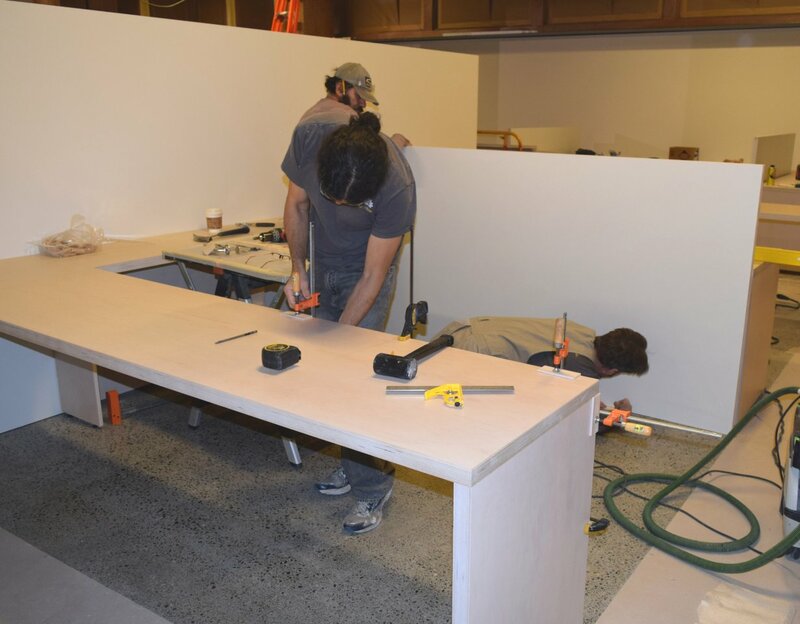 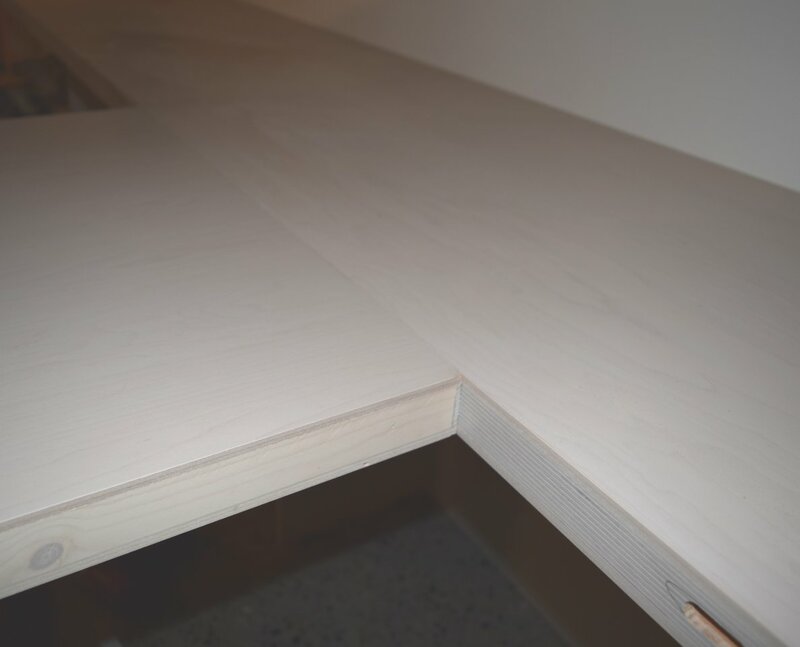 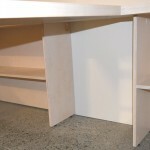 Some tabletop/shelves are one 33 ft. piece in length and designed for easy assembly on the job site. 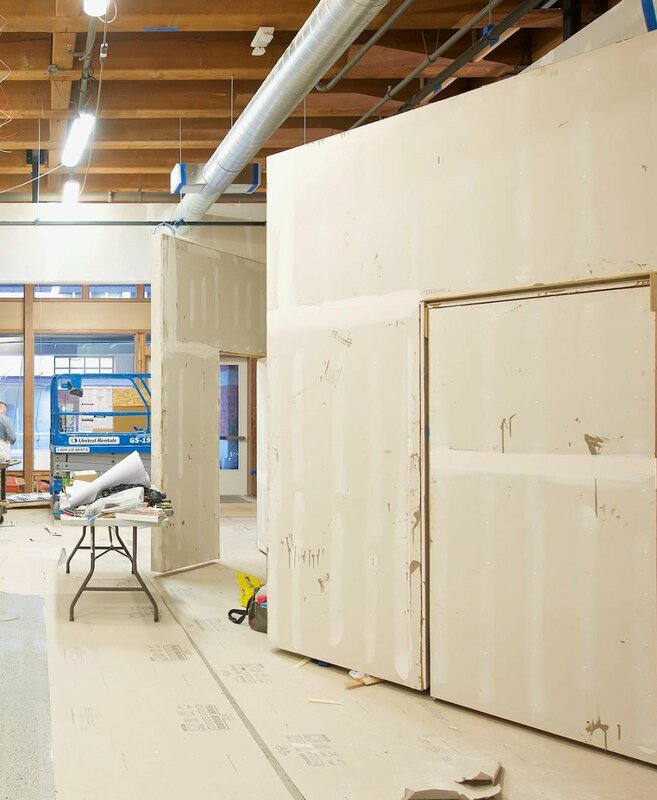 Sing Core is proud to support the Center for Architecture & Design in Seattle by contributing by donation and promoting sustainability and education in true green design and architectural materials. 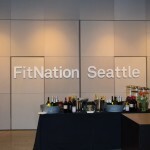 Sing Core is proud to be supporting the artistic architectural industry in Seattle, Washington. 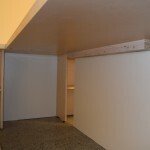 The Pacific Northwest is a hotbed for leading edge architectural designs and architectural building products. 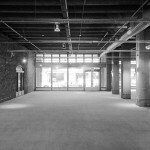 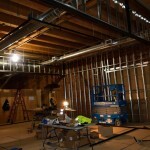 In an effort to reach out the greater worldwide community from its headquarters in Seattle, Sing Core is partnering with the American Institute of Architects (AIA) Seattle in the design and building of the new 4,500-square-foot Center for Architecture and Design in the National Building located at 1010 Western Avenue in Seattle, Washington. Proud to be the newest Eco-friendly architectural building product that is more lightweight and stronger than other traditional building products, Sing Core is a part of this forward thinking movement that is creating an advanced attitude that embraces high tech while maintaining a green perspective. 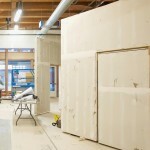 To help support the efforts of all progressive architects and designers in the Northwest, Sing Core has donated $36,000 in its patented Eco-friendly architectural building materials thus far. 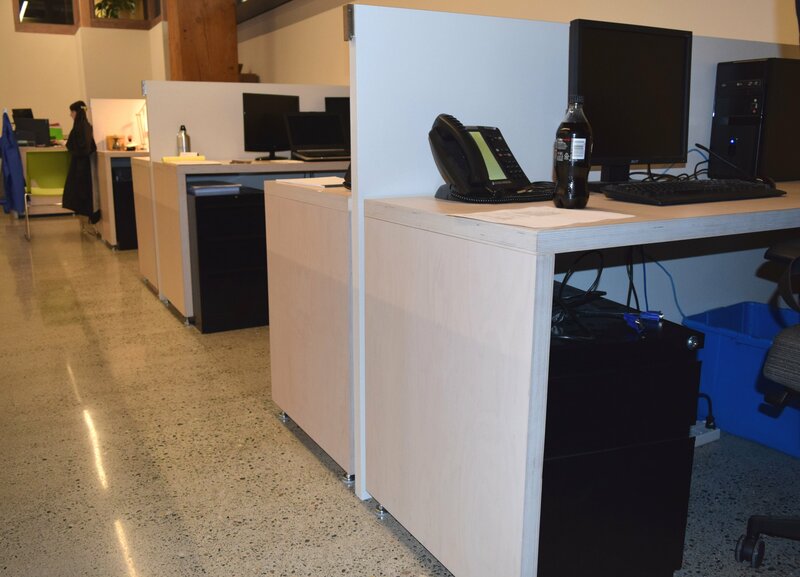 We are honored to be joining forces with Suyama Peterson Deguchi, Krekow Jennings and OAC Services. 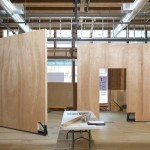 Seattle Architecture Foundation, Design in Public and AIA Washington Council will also be joining the project later this year.